P.S. My dad is going to kill me for posting that cutting board because *he* makes custom cutting boards too. His are beautiful, but unfortunately not actually sold anywhere. Sorry pops, maybe it's time to get on that Etsy shop!! omg I need that penguin timer!! I just bought those napkins–I couldn't resist (even though I always feel guilty buying things I KNOW I'll get super dirty...but whatever). I really hope you pick up those bowls...they're adorable! I'm in love with the place setting...and tie dye bowls... and polka dot mugs... AHHH! 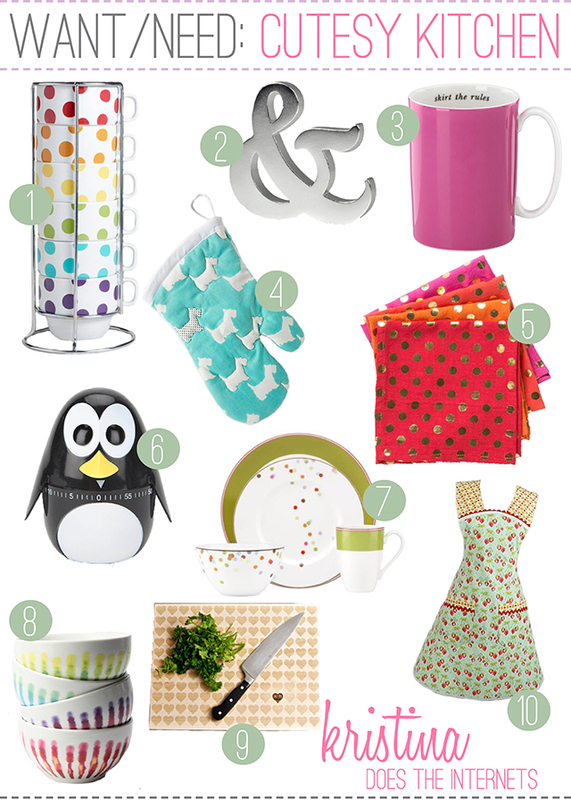 I don't even have my own kitchen and I want all these things! Back in college, I had SO many cute plates and things that I would buy at Target! The penguin timer is a must! Cute things for your kitchen. Lovely Post!